Grand Reset system - after 100 reset you are able to make a Grand Reset. It will clear all your current resets and you will receive Grand Reset Points depending on the amount of resets cleared. You can spend your Grand Reset Points, or GRP, in the Grand Shop. 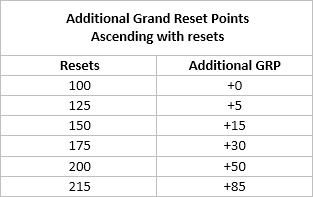 Grand Points are tied to the character that you are making Grand Resets to. It means that if you want Dark Knight items from GRP Shop you need to make Grand Resets to that specific character. Performing Grand at reset 215 will give you 300 GRP. Guild Tribute (GT), or a tribute to a guild. This is the main feature of this server, which fully answers the question - what to do after a maximum reset. 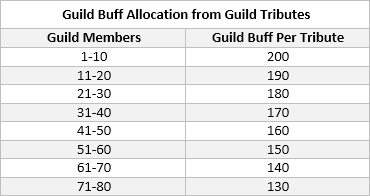 Guild Tribute allows to increase the strength of your guild and expand its influence on the server. The system involves a number of components - leveling speed, resets, buff strength, chances of earning bonuses and much more. To perform a Guild Tribute, your character must be in a guild, have 215 resets and 400 level. After GT your level will be dropped to 1 and stats will be given as if you acquired 215 reset. The experience rates for your character after making a tribute will be x3, and all subsequent tributes will be performed at these rates. Can I make a Grand Reset after I made Guild Tribute? 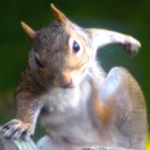 - Yes, you can. When you make GT you get 216 rest and 1 level. You need to get to 400 level to make a Grand Reset.